Davao City is a bustling metropolis and is one of the gateways to Mindanao. It is a transportation hub that has numerous buses and jeeps that go in various routes to other provinces. This is one of the reasons it is a possible base for day trips or an onward trip to different parts of the region. 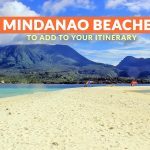 If you want to explore some of the beaches in Mindanao, here are some destinations you can visit from Davao City. 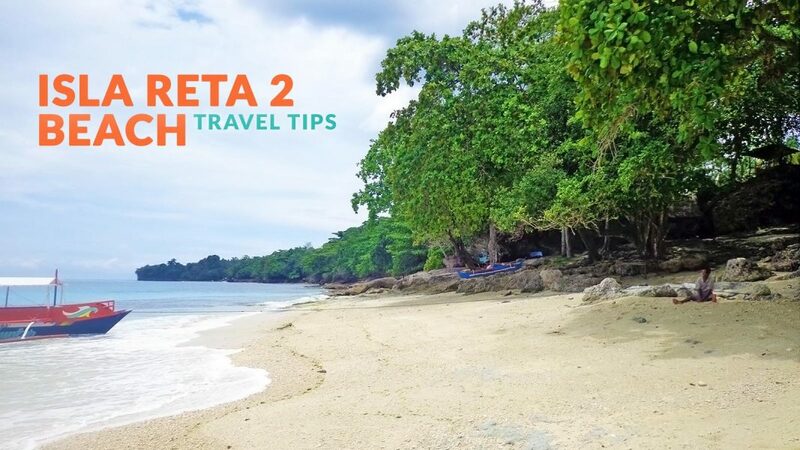 Dahican in Mati is one of the beaches you can go to as an onward trip from Davao City. 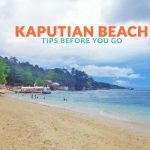 It takes about 4-5 hours to get to Mati from the city; that’s why it is recommended to spend the night here than go on one long and tiring day trip. The beach is beautiful, set amid an idyllic background of swaying coconut trees, a cream-colored shoreline, and an undeniable provincial vibe. Locals from the city go to the beach to ride its waves either on a surfboard or a skimboard. The waters can get rough, though, so opt to swim or wade near the shore to stay safe. You can have a picnic on the beach or play different sports such as volleyball or Frisbee. 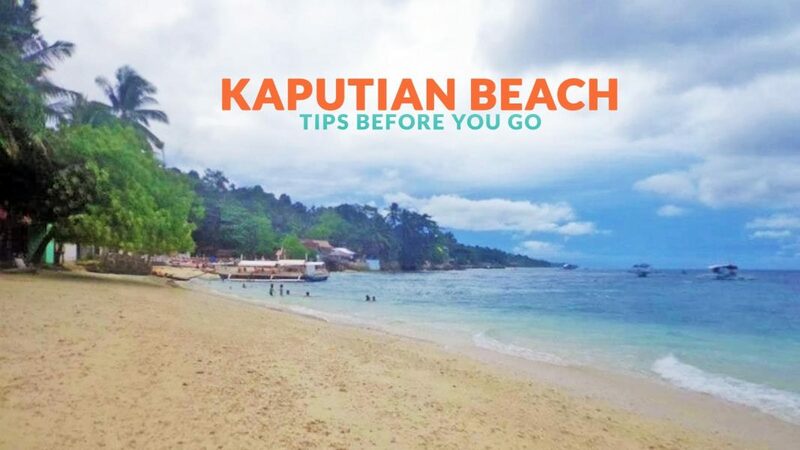 Located on Samal Island, Kaputian is a good day trip from the bustling city of Davao. Its accessibility makes it a popular choice for both locals and visitors. It has white sands and clear waters, ideal for a relaxing island getaway. You can rent one of the huts or pitch a tent for a fee. There are also day-trip (P10 for adults) and overnight (P75 for adults) fees. Bring your own volleyball or Frisbee to pass the hours during your stay. 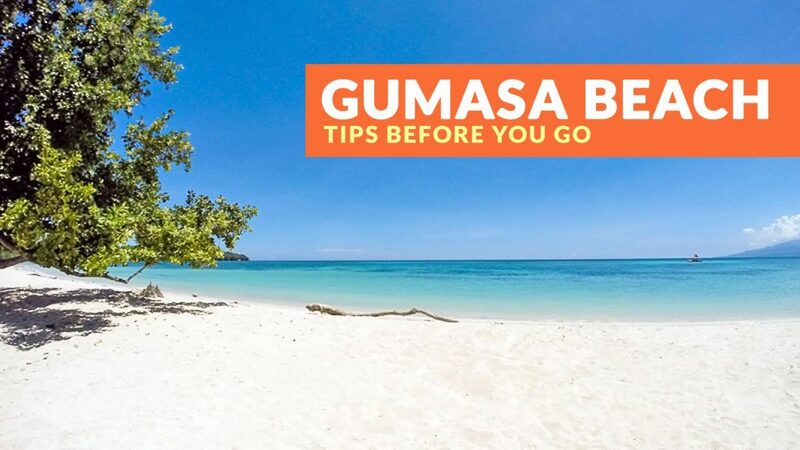 You can include this destination during your island-hopping escapade while on Samal Island. It remains true to its moniker with the many starfish you’ll see while wading in its waters. Relax, unwind, and enjoy the beach vibes during your visit. Don’t forget to bring snorkeling gear to witness the island’s thriving marine life. 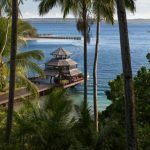 Canibad is another beach you can visit while exploring Samal Island. Its waters are in various colors of blue, and its sand white and fine. It’s the ideal getaway from the hustle and bustle of the metropolis. Its tranquil setting is perfect for beach-bumming or seaside reading. Wade in its waters to douse the midday or afternoon heat. Bring your own snorkeling gear to explore its beautiful underwater ecosystem. You can also find a spot where you can go cliff-diving. Entrance fees are P40 for day trips and P80 for overnight. You can rent a space for your tent for P100. Tables, chairs, and cottages are also available for rent. There are accommodations lining the shore if you plan to spend the night more comfortably. 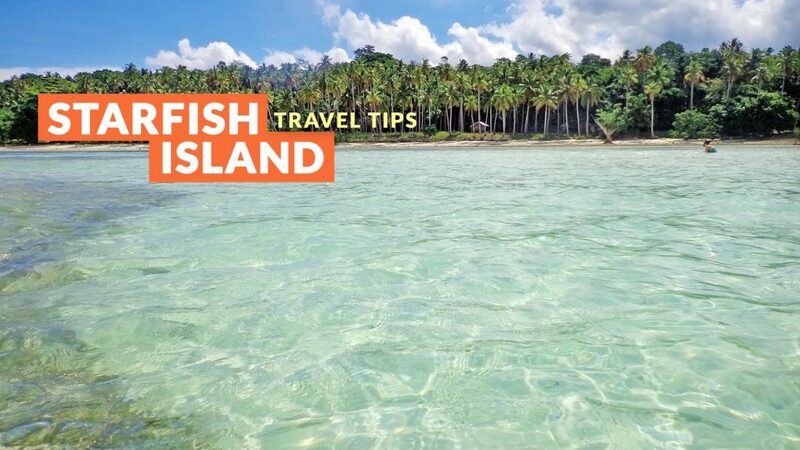 You can include this destination during an island hopping trip from Samal Island. This small, but the beautiful beach has whitish sands and clear, turquoise waters. The rock formations dotting its shoreline add a sort of rugged beauty to the place. Spend an hour or so sunbathing, wading in the waters, and just chilling until your next stop. This white sand beach is located in Glan, Sarangani. 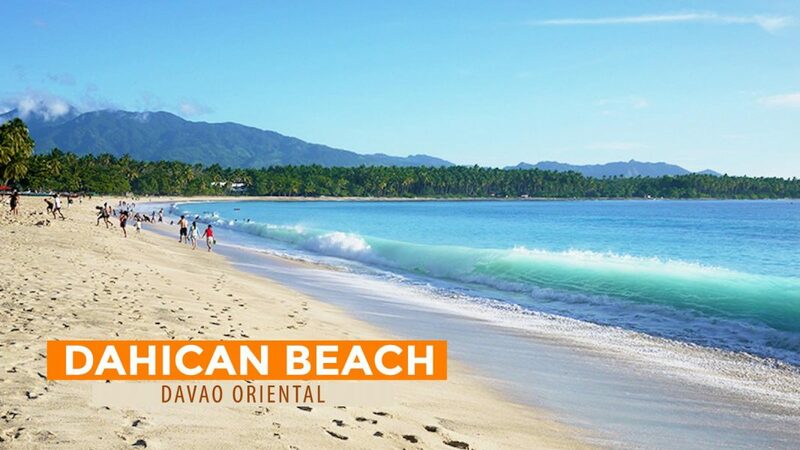 It’s closer to the city of General Santos, but you can get to this destination from Davao City. 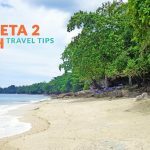 However, you’d have to leave early and it’s better to spend the night in General Santos City or in one of the beach resorts than taking it as just a day trip. Wade or swim in its cool, aquamarine waters, sink your toes in its powder-like sand or just take plenty of photos of the beautiful views. You may also bring your own tent and pitch for a fee. This island is within the district of Baganga in Davao Oriental. It’s one of those still hidden destinations in the region. It has white sand and azure waters that create a beautiful and serene atmosphere. Its distance makes it a better forward destination than a day trip one. This beach isn’t as developed as its more popular and accessible counterparts, but simple amenities like cottages are available for rent. Bring your own snorkeling gear to explore its underwater world. Laze on the beach, swim or wade in its waters, read a book, or play beach volleyball. This resort is accessible from Davao City – the trip taking just 15 minutes. It is a favorite getaway of locals and tourists. Its white shore and cerulean waters are perfect for wading and swimming in. 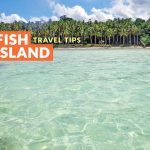 You can do a day trip for P200 and rent equipment for jet skiing, snorkeling, scuba diving, kayaking and banana boat riding. You may also purchase food and drinks from nearby restaurants and convenience stores. 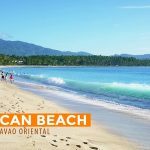 These are some of the beach destinations you can visit as a day trip or next destination from Davao City. These places provide you with a relaxing spot away from the hustle and bustle of the metropolis and get you your fix of Vitamin Sea.